Photograph depicts a Great Northern Railway interchange curve to CPR tracks near Raymur Avenue/ Powell Street, Vancouver. 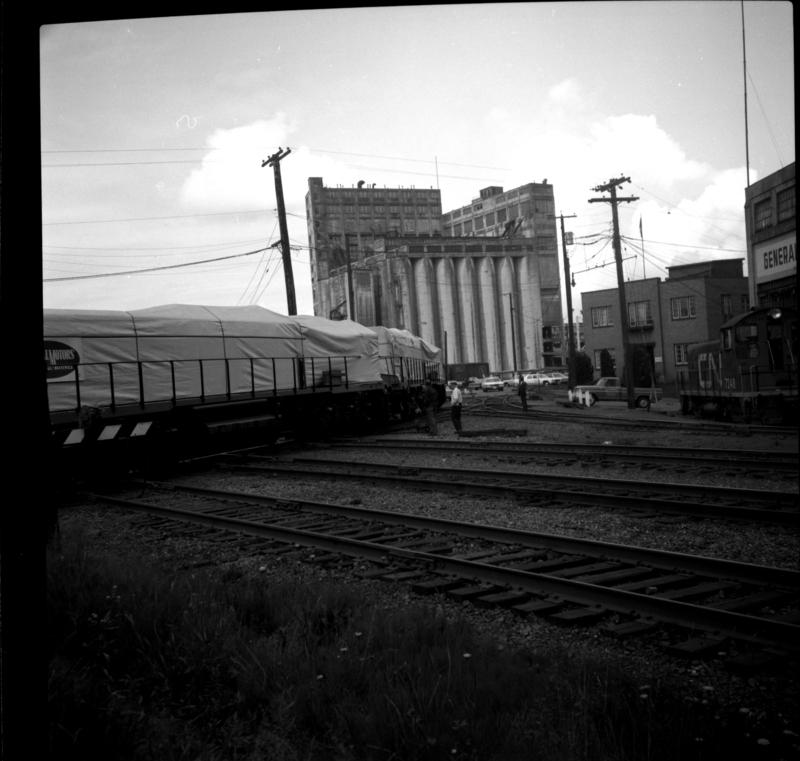 Visible is a part of an export train, consisting of 11 (dead) General Motor locomotives hauled by a GNR switcher towards the Centennial Dock area. The process of destruction was to take place in Pusan by Korean National Railways.